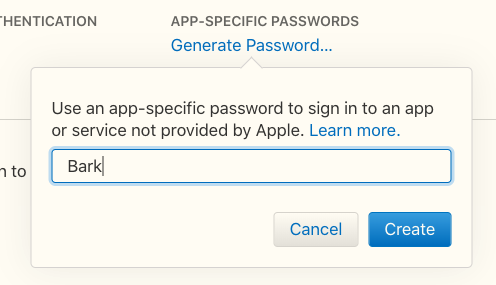 Apple requires the use of app-specific passwords when connecting iCloud e-mail accounts to third parties like Bark. Note: this only monitors e-mail activity -- not iPhone activity. To monitor iPhone activity, see here. 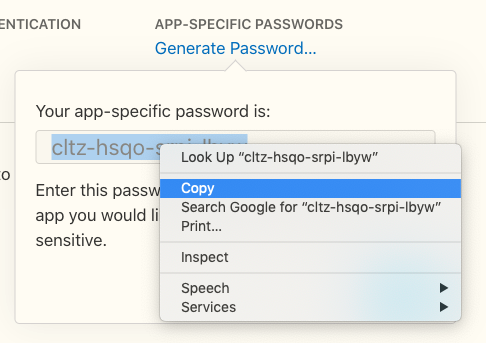 Under the Security section, you'll see App-Specific Passwords. Click on "Generate Password". Type in "Bark" and then click "Create." For information on how to connect accounts like iCloud, check out this article. 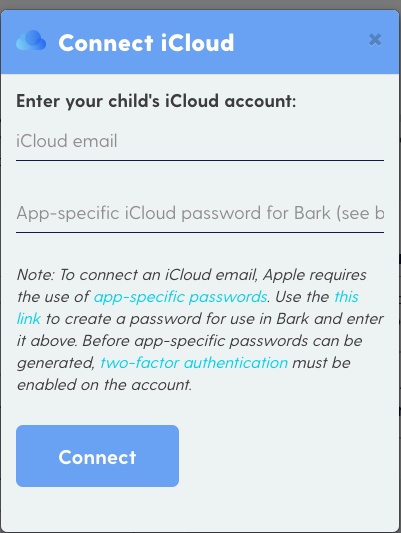 If you would like assistance or further direction on how to connect an iCloud e-mail for monitoring, reach out to help@bark.us, and we'll be happy to assist!